Based in Brisbane, Missy is a well seasoned chart topping singer/songwriter and all round entertainer. Having performed countless venues, weddings and major events & functions all over Australia for the past ten years, she is well equipped to cater to the needs of any venue or event large or small. 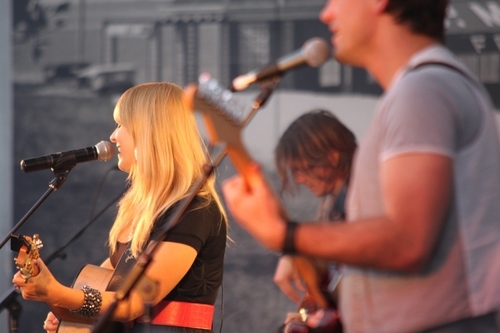 Missy performs in a range of formats from solo acoustic, to full party band. As a polished and seasoned performer, Missy B delivers a diverse repertoire including hits from popular artists Matchbox 20, Maroon 5, Katy Perry, Pharrell Williams, Eric Clapton, U2, Bruce Springsteen and many more. Working only with professional session players, Missy B offers acoustic solo, duo, or full band (4 - 6 piece) for high energy performances. With so many options and band configurations available, Missy is able to perform any event whether it’s a small intimate public show, or a large corporate event or wedding.